At 3iG, we make it easy for you to get all the insurance coverage you need for your business, personal life and employee benefits from one trusted source. Our knowledgeable agents look at the big picture for greater confidence and value. 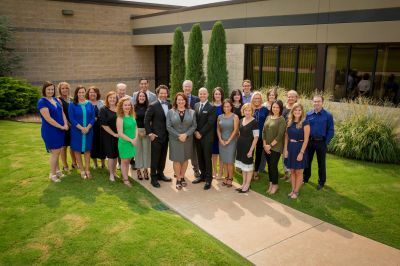 Find out why so many Oklahoma professional associations endorse 3iG as their choice for business insurance, personal insurance, and benefits that leaves nothing to chance. We service clients in the Oklahoma City Oklahoma areas. At 3000 Insurance Group, our clients have dedicated teams of experts that work together to proficiently address all your concerns. We offer all types of Personal Insurance coverages to our clients in Oklahoma including Auto Insurance, Individual Disability, Homeowners Insurance, Individual Dental Insurance, and Individual Health Insurance. Give one of our agents a call to save money on your Business Insurance. Some of our Commercial insurance coverages include Bonds, Builders Risk, Business Owners Policy (BOP), Commercial Auto, and Cyber Liability. Just give us a quick call today at 405.521.1600 or Submit one of our quick online quote forms. With the help of our dedicated business partners, we can conveniently offer an entire solution for all your insurance needs.